When I saw the travel itinerary, I felt quite excited, as it was mentioned that we will be going by an EMU till Ponneri and then take a bus to Pulicat. I reached the Chennai Central station by 7 am and hunted for the suburban station entry! Thanks to the organizers who took the pains to book the tickets! Walking into the platform I saw a crowded train . . . and wondered how to travel in this crowd. I was quite happy when I heard the warm words from the organizer that we will take the next train. I was again wondering about what about the tickets and asked the organiser about the same. Here, I learnt that the same ticket would be valid for the next train. In a short while we boarded into the empty train as the first passengers and made ourselves comfortable. 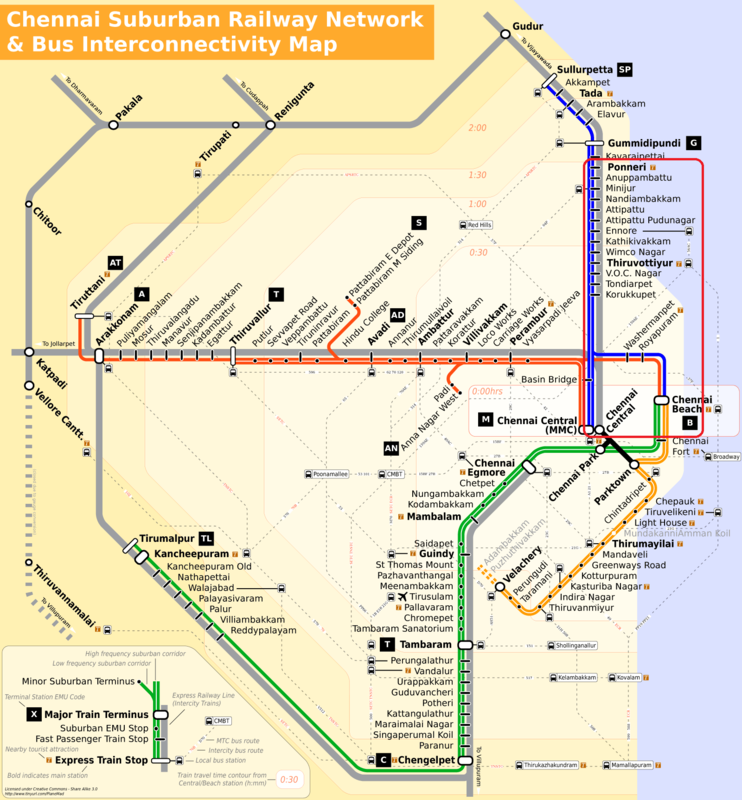 There were few new stations which were there in the map and found that the map which I had was last updated in Dec 2007. After crossing few stations, we started witnessing the greenery which made me feel whether I was near Chennai or somewhere else! We reached Ponneri and were asked to take a bus to Pulicat. We walked from the railway station and during the walk, all the villagers were staring at us and our clothes. We felt rather weird. And it was high time for breakfast; we found a good hotel on the way and filled our tummies with greasy stuff such as pongal, poories etc..
Boarding an express bus, we realised that the word ‘express’ was only in the board and not in speed! The way the bus moved, made me feel like travelling in an ancient bullock-cart. We reached pulicat at around 11.30 am. The moment we stepped out of the bus, there were lots of boatman who came and pestered us for a boat ride. We left the headache to the organizers! They settled with a boatman called Anthony. 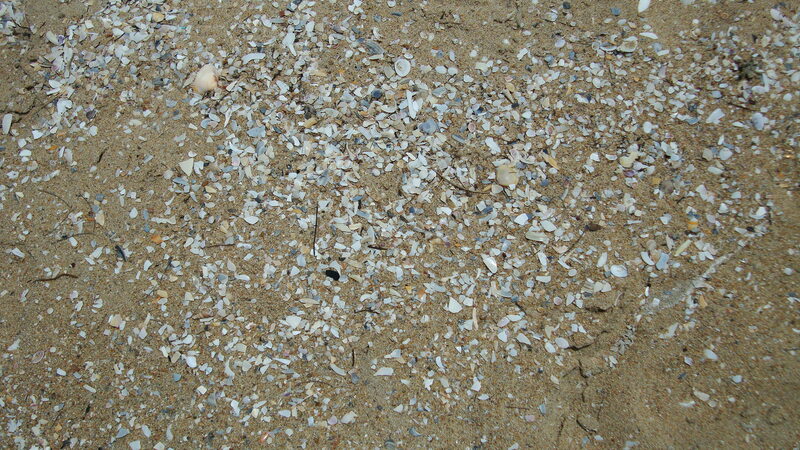 Madras itself was not a port as the shoreline did not allow for the easy construction of any kind of harbor. The Coromandel coast, extending in an even line and having neither promontory nor recess, is not abundant in sites for good ports! 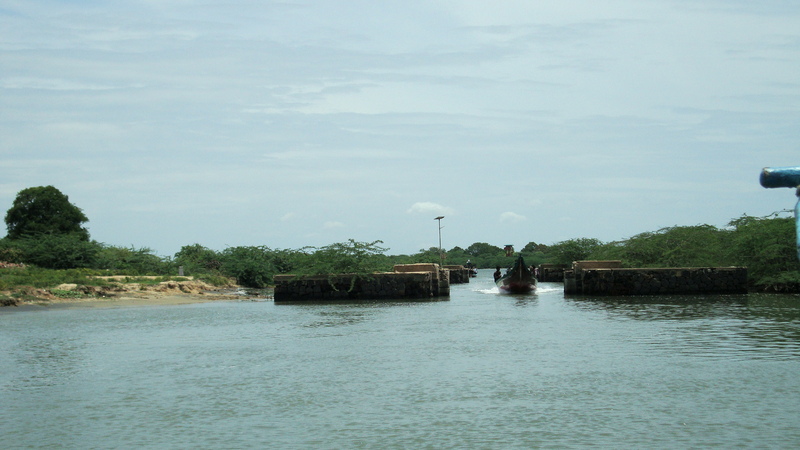 Many ancient sea ports can be identified along the coromandel coast, from puhar to pulicat where sea navigation was possible with port connection. 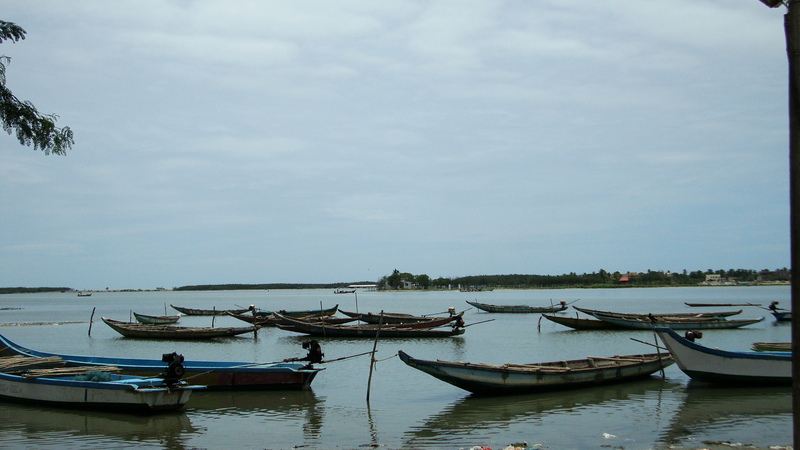 Pulicat is well known for its second largest brackish water lagoon in Asia! The history can be traced to the Chola kingdom ( 8th Century AD) when it was a major port city. Portuguese were the first Europeans to land in Pulicat in 1502 AD followed by Dutch in 1605AD and then by British. 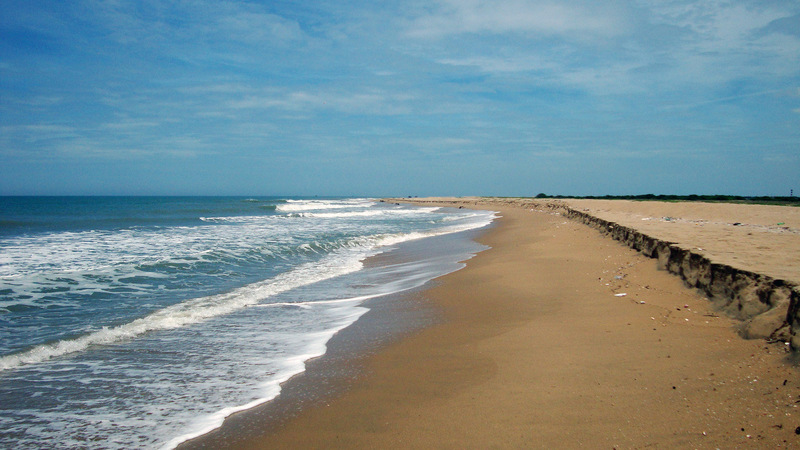 Pulicat was once a busy coastal village when it was the headquarters of the Coromandel Coast between 1617 and 1689 AD. The Dutch established trade relations with every region. 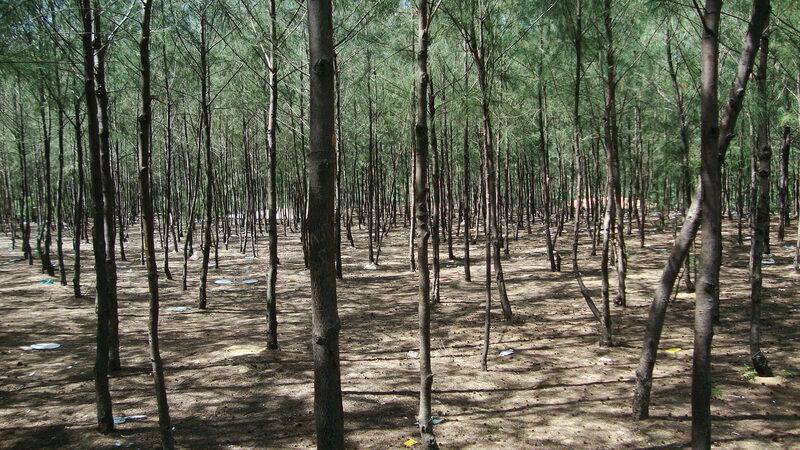 “Ships from countries like Japan and Indonesia used to anchor on the Pulicat coast. 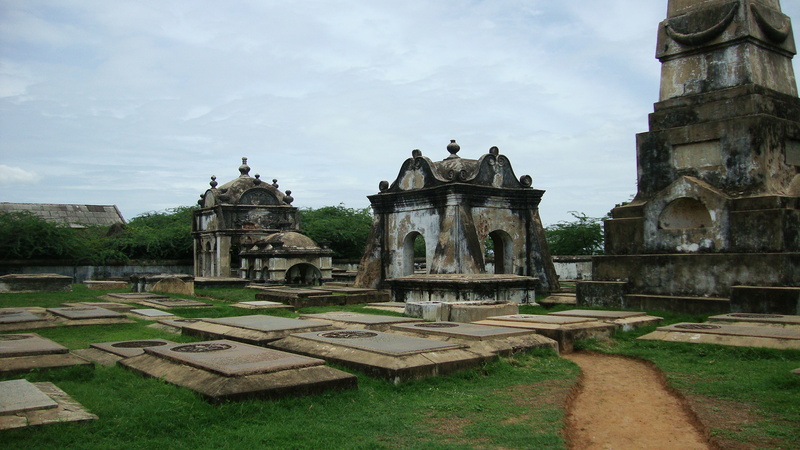 The first place we visited in Pulicat was the Dutch Cemetery which dates back to 16th century and is an interesting landmark of Dutch foot in Pulicat, built in between 1606 to 1690. The beautifully carved tombstones with inscriptions in the Dutch language are said to have been carved in Holland and sent to India, which surprised me. I was deep in thought about how expensive would that have been considering the heavy freight charges of those days! The entrance to the cemetery is a semi-circular arched opening. Two skeletons are inscribed on the supports on either side. The next programme was boating. We were back to the jetty, where our boat man waited for us and the place wasn’t very clean and hygienic. But what else can we expect from a place where the boats unload the fishes caught from the lake and seas! The boat passed via a 17th century tax collection office, built by the Dutch in Pulicat, -one of the oldest surviving Dutch architecture in south India which was built in 1640 to collect tax from ships that anchored on the Pulicat lagoon and coas. But sadly the building is in ruins today. After half an hour’s boat ride, reached the island where the casuarinas groves provided a nice shelter to everyone from the scorching sunshine! People jumped into the backwaters! We were greeted with a meal with fish curry & Rasam upon our arrival and we were quite spell-bound with the taste of the food. After a heavy lunch, inspite of the nagging nap, it was 3.30 pm and time to start so that we can reach back home atleast by 8ish in the evening. Back to our boats and we reached Pulicat where we witnessed fresh fish sellers. We started walking towards the bus-stand to Ponneri and from there took the train and reached Chennai Central! 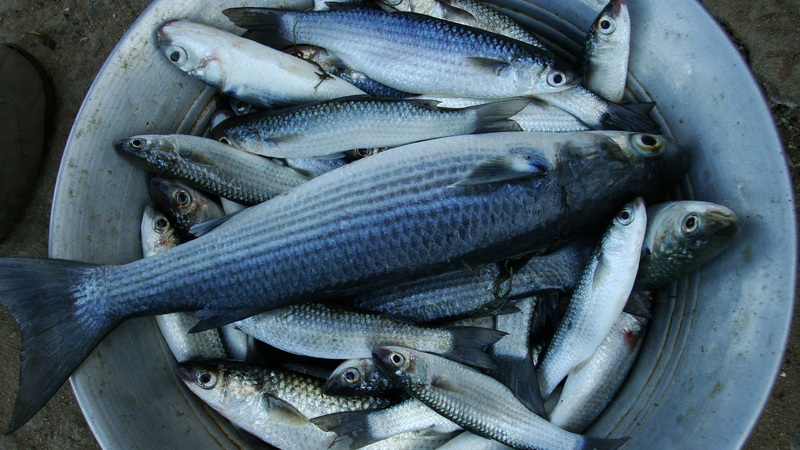 It is advisable to carry food and water from Chennai and enjoyed on the boat, and the refuse should be thrown into the public bins at Pulicat, and not disposed off in the lake. Rest rooms (toilets) are unfortunately not available.I could notice that Pulicat lake faces several anthropogenic, developmental and environmental issues threatening not only the livelihoods of these impoverished fisherfolk but also the very survival of this ancient lake itself.